The 21th Domotex Asia Fair held in Shanghai. Our booth number is W5F46. Today is the third day of the exhibition. 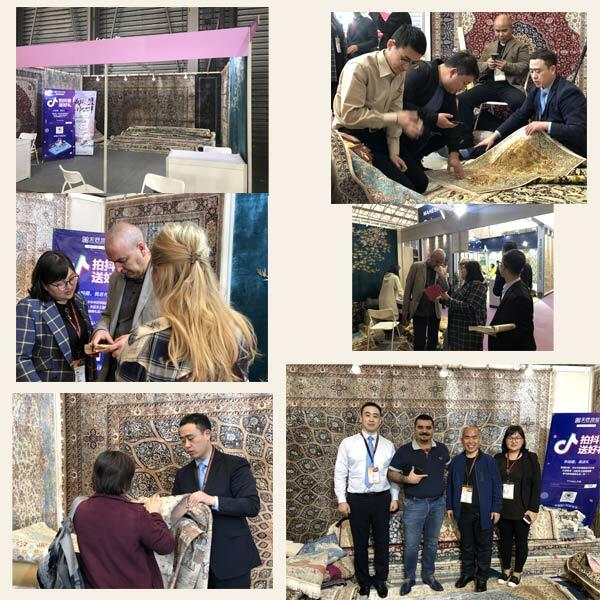 From the exhibition in the past two days, the silk carpet from Yilong have attracted many people to stop and inquire. Some of them want to be agents. Some of them place orders on the spot. Hope today will be a good harvest too.